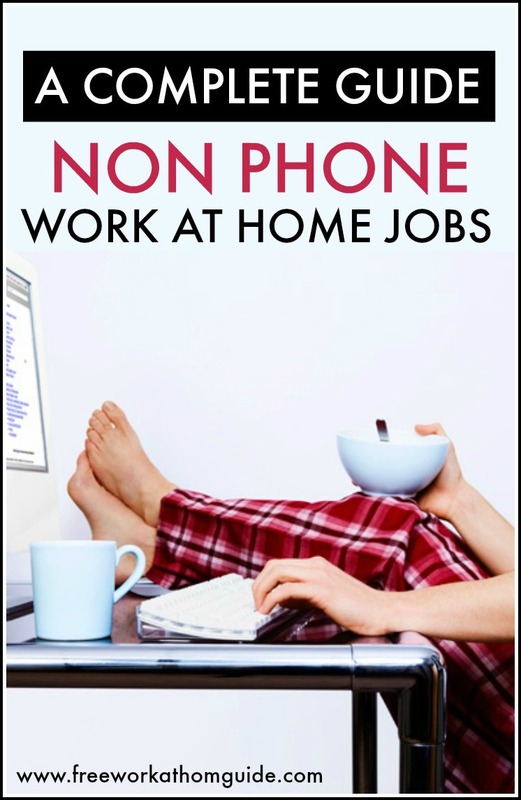 There are many companies that offer non phone work at home jobs. You can earn a living from some of these jobs but others are good to earn a side income. You can learn more about companies that recruit writers to work from home. You can learn more about companies that hire search engine evaluators to work from home. You can learn more about transcription jobs and the companies offering transcription jobs here. You can learn more bout website testing and the companies hiring website testers to work from home. You can learn more about administrative work and companies that hire virtual assistants to work from home. You can learn more about companies hiring bookkeepers and accountants to work from home. Searching for more non-phone job leads? Check out this huge list of 200 companies!